Shares of General Electric Co. shaved Monday after a deal with selling its biopharma business for $ 21.4 billion. dollars in cash to Danaher Corp, but remained on track to expand their longest line under the broad 200-day moving average for at least 40 years. 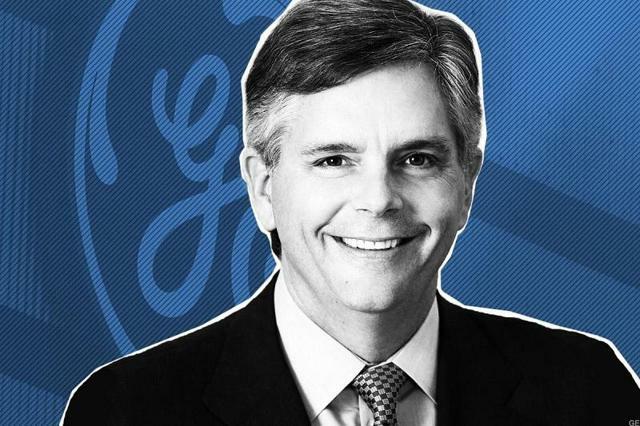 GE said the biopharma company, which was part of GE Life Sciences and under the GE Healthcare umbrella, generated about $ 3 billion in revenue in 2018. GE CEO Larry Culp was formerly CEO of Danaher from 2001 to 2014. Culp was credited for leading a turn on Danaher. Whether he can transform GE in the same way, it is still to be seen. The news sent GE higher by more than 8% in afternoon trading Monday. I think the deal is a mastery of the following reasons. As part of the turnaround efforts, Culp committed itself to cutting GE's significant debt burden either through the sale of assets or through cash flows. The company has hived off GE Transportation and sold a significant share in Baker Hughes (BHGE). However, I was stunned by the biopharma agreement, if nothing else because of its sheer size. In Q4 2018, GE's total debt burden was $ 110 billion, down from approx. $ 115 billion in Q3. A debt of $ 21 billion on the debt (assuming no tax loss) would reduce GE's debt burden by approx. 19%. Outside another sale of his share in Baker Hughes or a divestment of Healthcare, there was no near-term scenario where I imagined that GE could reduce its debt by such a large amount. Outside the biopharma agreement, it could have taken a number of transactions to reduce the debt by such a large amount. Constant deal making could have taken more management attention as well. I've been bearish on GE due to the worsening of its nuclear power business and its unsustainable debt burden. In Q4 2018, I estimated GE's debt burden of $ 115 billion to 7x EBITDA. I also questioned why credit rating agencies had not downgraded GE to junk status. In my opinion, the sale of an asset with a multiple higher than 7x EBITDA (1) would reduce GE's debt / EBITDA and (2) be credit positive. Market taxes suggest the purchase price amounts to 17x 2019 EBITDA for GE Biopharma. This would exceed GE's debt / EBITDA of approx. 7x and be credit positive. The management has not stated what GE's debt / EBITDA would be the post-deal. Despite the improvement, GE's debt / EBITDA is likely to exceed 4.5x to 5.0x estimated unwanted status. In Q1 2019, the segment's profit for Power, Aviation and Renewable Energy ("NewCo") decreased by two digits again. This implies that NewCo represents the discussions of GE's remaining operations. GE has discussed divesting its Healthcare operations. Market chatting suggested Healthcare could have received a $ 60 billion or higher valuation. GE is rumored to reconsider IPO for Healthcare under the GE Biopharma Agreement. The implicit 2019E EBITDA for GE Biopharma is around DKK 1.3 billion. Assuming debt / EBITDA of 4x, it is appropriate to guarantee the status of investment classes, so the extra capital from a sale beyond 4x EBITDA can be considered a de facto equity increase. In this example, GE had to sell GE Biopharma for at least $ 5 billion. (About 4x EBITDA). Sales of $ 21 billion exceeded the threshold of approx. NOK 16 billion, which could be considered a de facto increase in equity. I have suggested that instead of divesting assets, it may be more cautious that GE raises equity. In fact, raising more than $ 15 billion of equity (assuming no tax loss) could guarantee that GE holds Healthcare. This would allow GE to retain a large asset with solid cash flows to support the remaining debt burden. The health service could also help compensate for the continued reduction of power. GE Biopharma agreement was a championship. However, GE's debt / EBITDA is likely to remain in unwanted territory. I continue to rate GE a sale. Disclosure: I am / we are short GE. I wrote this article myself and express my own opinions. I do not receive compensation for it (except from Seeking Alpha). I have no business relationship with any company whose stock is mentioned in this article.